Wow…where has this last week gone? My has been super busy! We took the kids to my parent’s farm for a relaxing 5 days – but it has been a bit hectic catching up on everything since being back. 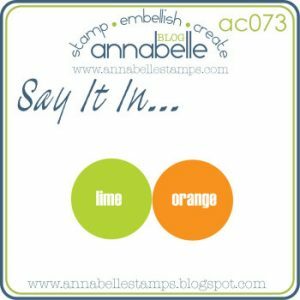 Anyway, hope you are ready for another challenge at AnnaBelle Stamps. This week is a sketch challenge. 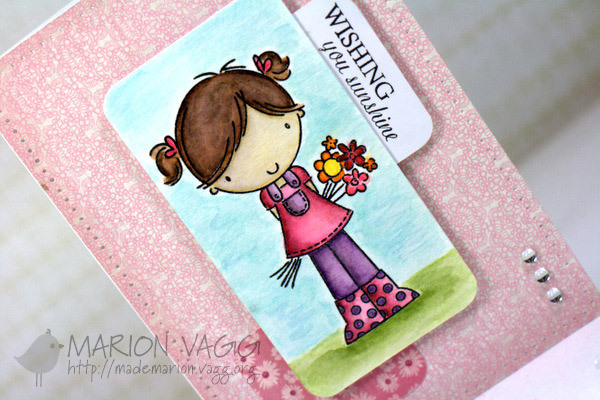 I must admit that this card doesn’t feel like a ‘me’ card – but it is nice to try something different now and again. I did have fun colouring in Lil’ Molly with Distress markers – they are awesome. I tend to shy away from images that have hair and skin as I am just not that good at colouring them in…but I guess practice makes perfect! I pretty much kept to the sketch this time. Thanks for stopping by and be sure to check out the rest of the DT projects. Their links are on my sidebar. Hope that you will find some time to play along. 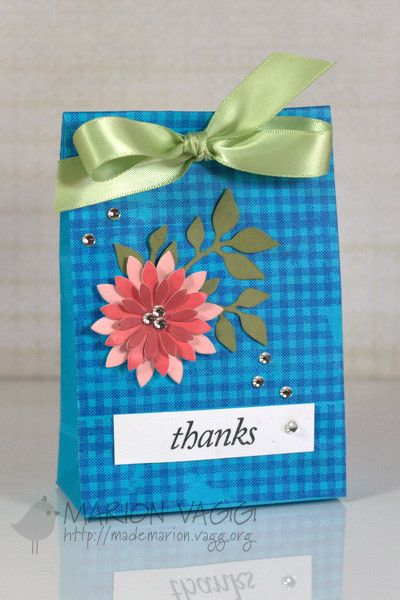 I have made this little gift bag for the Gingham Challenge in the Moxie Fab World. It came together really easily using a whole lot of leftovers. 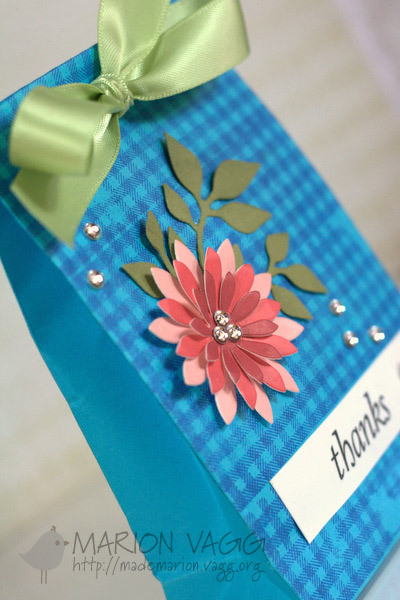 The little paper bag was also a leftover – after making mother’s day gifts for the Mums in my playgroup. 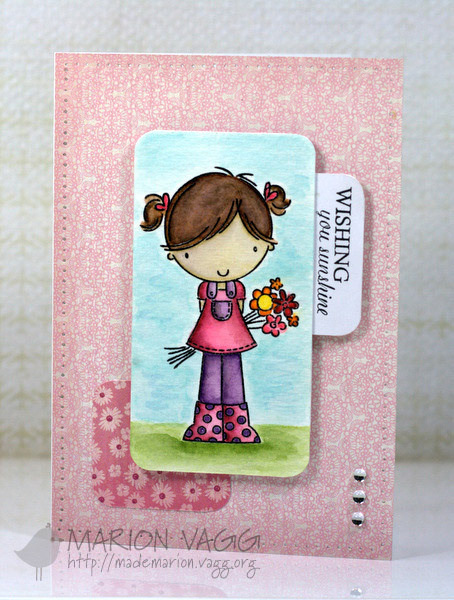 I just stamped both sides with a gingham stamp from AnnaBelle stamps. I love how it turned out. Inside it is filled with lots of chocolate goodness! Thanks for stopping by and I hope you are having a fabulous day! 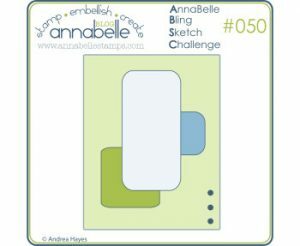 Welcome to another challenge at AnnaBelle Stamps. 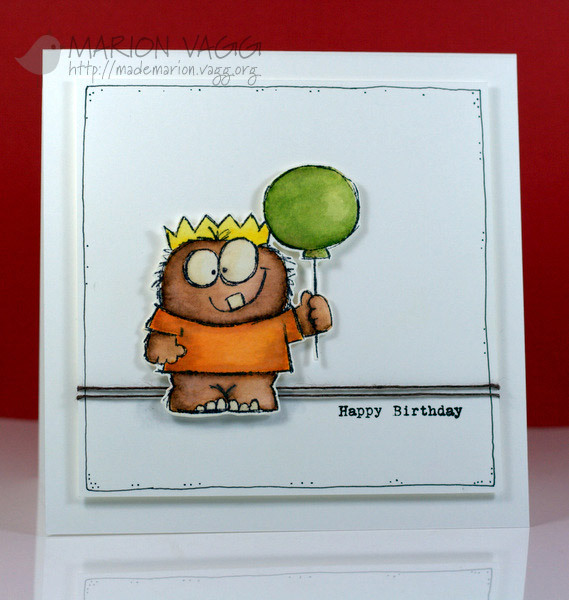 This week the Belles are all using the stamp set Lil Monster’s Balloon and soon-to-be in the store – a matching die! How awesome is that? 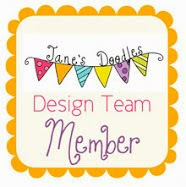 I am so into dies at the moment – I love anything that is going to save me time. I have coloured him in with my new Distress Markers onto watercolour paper. I just wanna say that I LOVE my new markers! (A Happy Mother’s present to myself – any excuse I say!) I can see I am going to have a lot of fun colouring in with these babies! 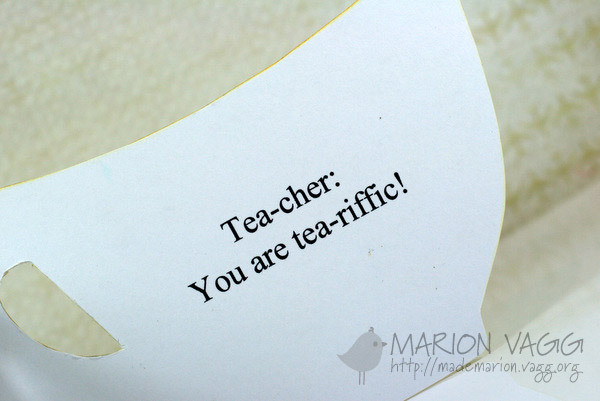 Being a teacher myself, I know that a little note of thanks can go a long way – so that is why I have made a card for a teacher. I can across this cute little tutorial and had to give it a try. I used 3 lots of digital papers. 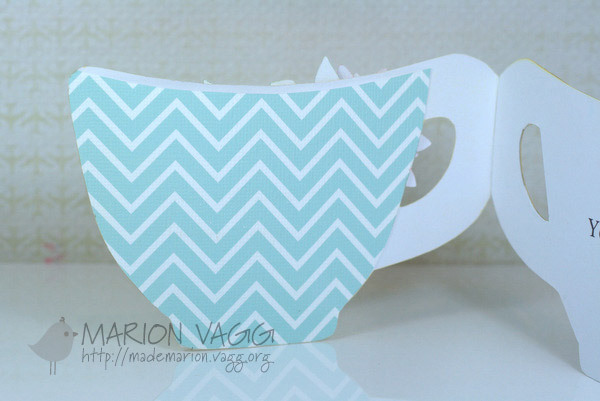 The cup is made from the Buttercup paper pack (Digital Potpourri), the tag and inside pocket is made from the Chevron Pattern Digital Scrapbooking Paper pack (Fancy Dog Studios) and the Flower is made from the Owlicious (Happy Colors) paper pack. 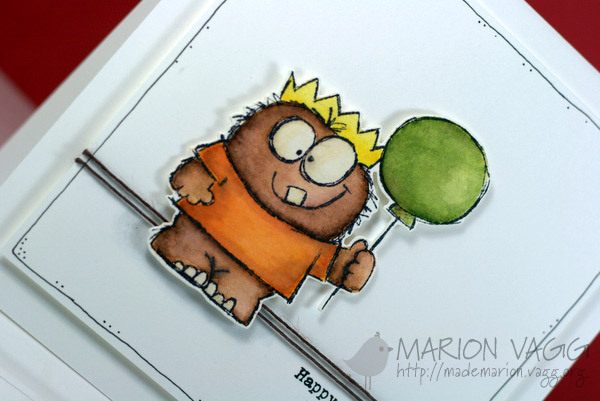 The inside of the card – very punny! The inside pocket which holds the tea bag. Kinda cute don’t you think? Be on the look out for the other Creative Team projects as well. Their links are on my side bar. Other Supplies: MFT Upsy Daisy Die, Quickcuts tag die, Sizzix Sizzlits die – Flowers Branches and Leaves, Cuttlebug, AnnaBelle Stamps 4mm and 3mm pearls, Tombow adhesive, Carl Craft Daisy punch – medium, SEI Button, AnnaBelle Stamps 0.8mm hemp twine – natural, Paper Smooches EAD Thank you rub-ons, tea bag, ink blending tool. Well this week I decided to challenge myself. I see loads of great cards with machine stitching on them, which I love. 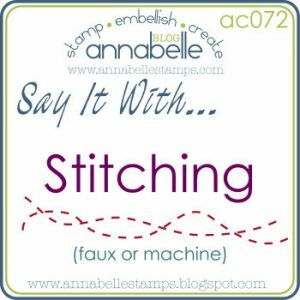 To be honest, I have never tried machine stitching on a card before as I have been too lazy to drag out the old sewing machine! I don’t have a craft room, so my space is limited, but this challenge made me dust off the cobwebs on my machine…and for my first attempt, I still managed to sew in a straight line (considering I haven’t used the thing in about 6 years!) My sister will be proud of me as she is a seamstress! Obviously I am a little obsessed with creating my own dry embossed background on my score board (it is a phase that will no doubt end soon)…as this is about my 3rd card doing it! 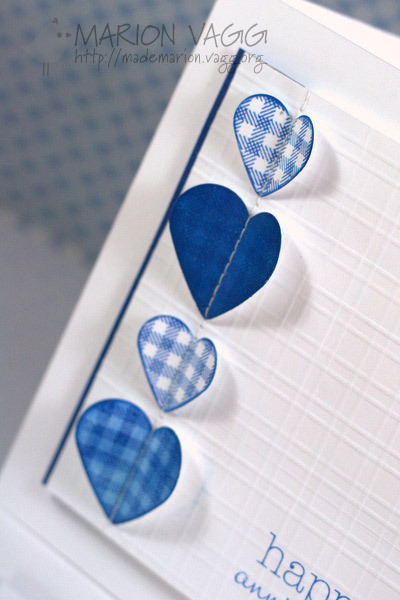 I have used BBD#7 for the gingham on the love hearts and the sentiment is from the Love Birds set. I am entering this into the Gingham Challenge in the Moxie Fab World.